Optical device maker Scalar has added a limited-edition model to its line of video glasses. 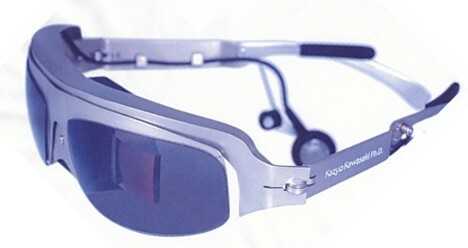 The Teleglass T4-N wearable monitor, which weighs 30 grams and features titanium frames by eyeglass designer Kazuo Kawasaki, was developed in cooperation with long-established manufacturer Masunaga Optical. Teleglass T4-N connects to any NTSC-capable video player (including iPods) and delivers images directly to the eye via a pair of tiny monitors tucked away behind the lenses. The 640 x 480 screen resolution at close proximity simulates the effect of watching a 45-inch screen from 2 meters (6 feet) away, and each monitor can be focused and adjusted for an optimal picture that reduces eye strain. Audio is delivered through a pair of frame-mounted earphones. With all the components hidden behind the lenses and crammed into the nosepiece, the lightweight Teleglass T4-N wearable monitor looks like a pair of stylish sunglasses. The monitors do not completely obstruct the view, allowing users to safely and comfortably enjoy audio-video entertainment during the course of everyday activities. 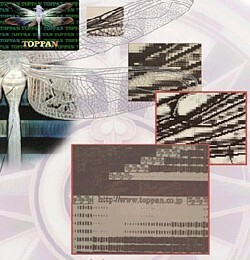 For now, 500 sets are available through the Scalar website, where they sell for 134,400 yen ($1,150) each. 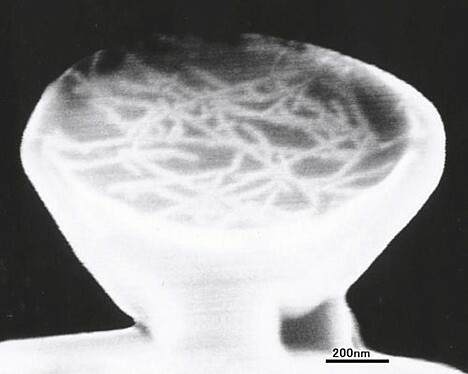 Researchers from the Nara Institute of Science and Technology have developed a biotech-based process for creating ultrathin computer memory. The process, which uses a protein commonly found in mammals, allows memory to be built on thinner substrates because it eliminates the need for high-temperature processing, and it could lead to significantly smaller and thinner computers in the near future, suggest the researchers. Computer memory typically consists of millions of circuit elements, known as memory cells, which are made of metal and arranged on a silicon substrate. Because the manufacturing process involves temperatures in excess of 1,000 degrees Celsius (1,832 degrees Fahrenheit), the substrate must have a high heat resistance, making thin materials with low heat resistance, such as glass and plastics, unsuitable. 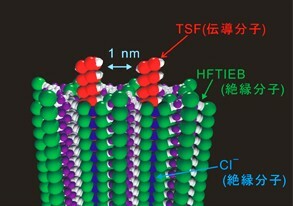 However, by using ferritin -- a globular protein complex that stores iron inside its hollow spherical structure, and which is commonly found in the bodies of mammals -- the research group developed a way to arrange metal memory cells on substrates without heat, allowing for the use of thinner substrate materials. 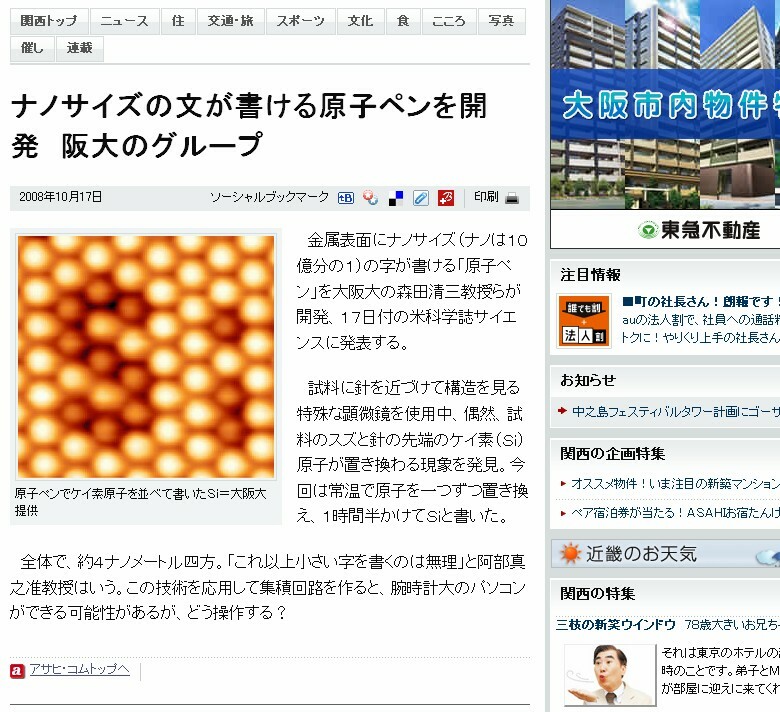 In this new method, ferritin containing metal molecules is applied to a substrate and allowed to self-assemble into a high-density, ordered arrangement. The ferritin is then irradiated with UV light, which completely destroys the protein and leaves behind tiny metal deposits on the substrate. In this way, the researchers bypassed the need for high-temperature processing, allowing for the creation of ultrathin memory chips that measure less than 1 micron in thickness. 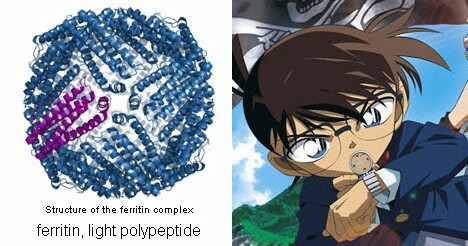 The researchers, who happen to be fans of the popular Detective Conan (a.k.a. "Case Closed") series of manga and anime, say their success marks a major step forward in the development of ultrathin computers that, if coupled with ultrathin displays, could one day be used in devices like the high-tech eyeglasses that appear in Detective Conan. The Detective Conan series, which is authored by Gosho Aoyama, centers around Shin'ichi Kudo ("Jimmy Kudo" in the US version), a young detective that has been transformed into a prepubescent boy who goes by the alias of Edogawa Conan and who is armed with an array of high-tech gadgets like computerized eyeglasses, a voice-changing bow tie, and power-boost sneakers. Research team leader and electronics engineering professor Yukiharu Uraoka says, "We are well on the way to developing computers built on thin films that can be integrated into eyeglass lenses or into clothing. Conan's eyeglasses are no longer a dream." In response to the development, Gosho Aoyama, Conan's creator, says, "It is a great thrill to see an idea on the pages of a manga become a reality. Next, if possible, I'd like someone to develop power-boost sneakers." Researchers at Tohoku University have developed a working prototype of what they are calling the world's smallest gas turbine engine, a palm-sized motor they hope will one day be used to power autonomous robots and serve as a portable engine for personal transportation devices. 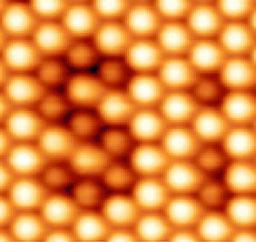 The research team led by professor Shuji Tanaka from Tohoku University's Nano-Precision Mechanical Fabrication Lab worked with researchers from IHI Corporation and the University of Tokyo to create the tiny engine, which measures 10 cm (4 in.) in diameter and 15 cm (6 in.) in length. With a 16 mm (0.63 in.) compressor rotor diameter and a 17 mm (0.67 in.) turbine rotor diameter and combustion chamber, the engine boasts a rotational speed of 500,000 to 600,000 rpm, which is made possible by special air bearings the researchers developed. Unlike battery-powered engines that need to stop for periodic recharging, gas turbine engines can run continuously as long as fuel is supplied. Furthermore, gas turbine engines feature a higher power density than fuel cell and battery-powered engines, and they run cleaner than reciprocating piston engines. With demand expected to increase for robots that use commonly available fuels and compact motors for personal transportation for the elderly, the Tohoku University researchers have been working with IHI since 2000 to develop a portable, lightweight and quiet engine able to operate for long periods of time between refuelings. After 7 years of work, they have broken the 20 mm diameter rotor barrier, a goal long shared by their microturbine-minded peers around the globe. The engine has not yet been outfitted with a generator because it is still under development, but space has been set aside for it within the engine. The engine will be officially unveiled at PowerMEMS 2007 scheduled for November 28-29 in Freiberg, Germany.